Throw out everything you know about werewolf stories, and strap in for a high-octane ride. From a prologue that quickly establishes the ancient myth behind the werewolf story in this world, the reader is catapulted into a blockbuster scene as commandos board Air Force One in flight to discover its occupants butchered, and the US President dying, gasping out only one word to hint at who the killer was. It's a scene right out of Tom Clancy, but with a werewolf twist. We then jump back in time to meet Diego Constance, code name Twenty, a werewolf hundreds of years old and a hired assassin in the service of successive US Presidents, from Andrew Jackson onwards. And so the story propels us through a fast-paced series of events, as the killer becomes a target, and he starts to piece together a conspiracy of almost apocalyptic proportions, with a killer bacteria sweeping across the United States and bringing society to the edge of destruction. 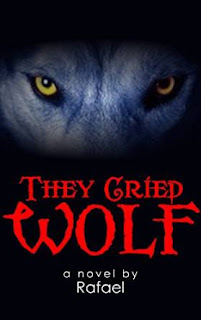 This is the second novel I've read by Rafael, and he sure knows how to put together his action - there's barely a moment's pause as the werewolf kills his way towards the top as he hunts down his ultimate prey. Along the way, he is aided by the last surviving relative of a family that has long served him, and the brilliant Pulitzer Prize winning reporter Elena Norwich. These last two perhaps don't feature as much as you might think - largely sitting on the sidelines as Twenty's bid for revenge takes centre stage. I'll confess I'd hoped for a bit more from each of these in the story, it felt like we spent time with each character only for their own story not to get going - but that's really the only criticism I have for this tale. The body count is high, and yet you stay on the side of the werewolf protagonist, even as you may be appalled by the horrific actions he commits along the way. It feels like a big action movie playing out in front of you - so grab your book, some popcorn and enjoy!